This course brings a meditation practitioner face to face with many different characteristics of the human psyche and consciousness. It is a course that encourages us to slow down and dive deeper in order to remain acute and subtle with the inward journey. 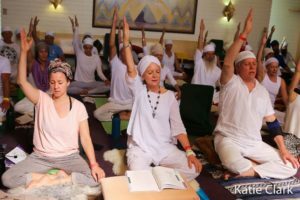 In this blog post, Krishna Kaur reveals why this course is so valuable for anyone, from the most advanced yoga teacher to the most unpracticed newcomer. Krishna Kaur: Meditation is hard. 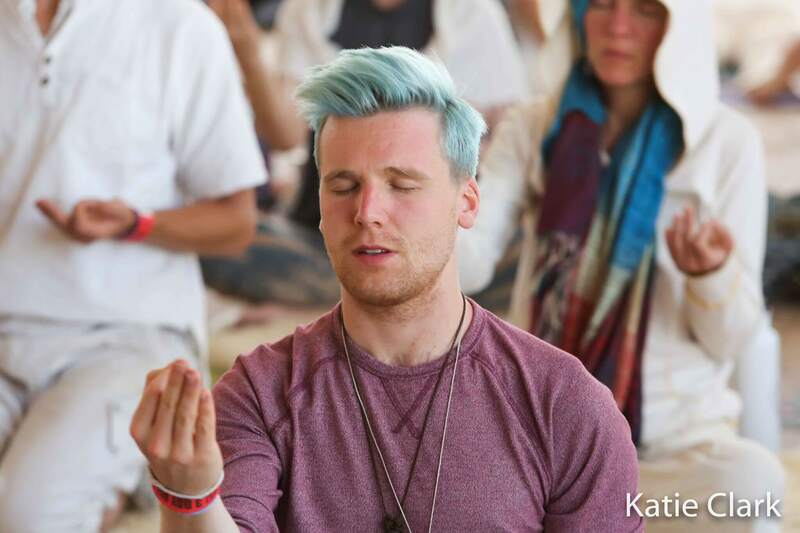 To get to the real heart of meditation is a process. This course illustrates the process as three journeys with seven stages in each journey. 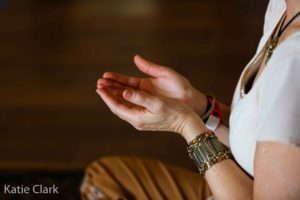 The journeys and stages are there to help the meditation practitioner embrace a process of achieving the real meditative state. What we call meditation is not just about sitting quietly and stilling the mind. There is more to it than that. Real meditation involves a total merger of one’s consciousness, one’s psyche, and one’s mind with God, Infinity, the Divine or that nameless essence that is the source of all. This course gives an expansive experience of consciousness. The practitioner will come away with the capacity to distinguish more clearly what is real from what is not real. 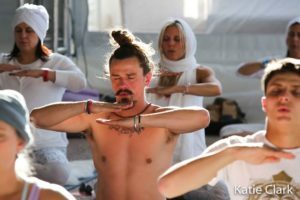 The course helps to create and sustain a consciousness that is able to maintain one-pointed focus and avoid distractions. But for our consciousness to reach this refinement, we need to observe the psyche through these stages. We observe the psyche’s dance with these experiences in order to consciously reach the ultimate meditative state. For instance, the first stage is upset. This does not mean that we are upset about something or with someone. This is not an upset that is caused by anything external. This is a deeply internal upset. Something in the meditation process has shifted so that the entire human system is being upset in some way. It is being upset so that it can be reset, but it’s all a process. When mind is upset, the body is upset. When we think of meditation, upset is the last thing in our minds; but it is this upset that the system must endure in order to shake loose the garbage in the subconscious mind. When we meditate, what will come up within us are issues that are buried deep within the subconscious. When these issues arise, that will make the body upset in the meditation. We sat down to still the mind, and then there comes an upset that gets in the way of this stillness. So, the course is designed in such a way that there are meditations specifically targeted to go through this upset, get deeply connected to the energy of this upset, and use the upset energy to propel consciousness into the next stage. The next stage is boredom. Why does the mind wander in boredom? When we meditate, inevitably the thoughts arise, “When is this going to be over?” It is important to be aware that boredom is this place of not being connected. This second stage is all about confronting our natural tendency to drift into boredom. And we intend to confront upset and boredom, not run away from them or deny them but really turn and face them. If we deny them or run away, they get buried in the subconscious and eventually in the unconscious. These days, so many distractions are politicized and commercialized. There are so many things that call for our attention, that want to turn us into consumers. We keep ourselves so busy with this and then that; we are programmed to move quickly from one thing to another. So, boredom is something this consumer culture has trained us to access when we’ve been doing the same one thing for a long time. Consequently, boredom triggers more upset; upset is being provoked. This upset takes our mental flow out of focus. How do we quell that upset? We usually want to escape upset. We think about something and somewhere else we would rather be. Instead of confronting that upset, we allow the psyche to go into the experience of boredom. We can become more aware of these shifts, and we can use them to serve elevated consciousness. This course allows us to really take time to explore our unique inner landscape through the various stages for which there are particular meditations. It is an experiential course. 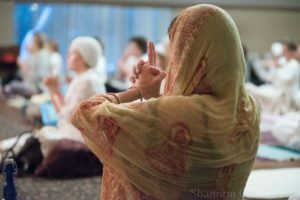 We will practice a variety of meditations that give an experience of three inward journeys that make us more aware of all the nuances that arise with prolonged meditation practice. Beyond meditation, the course helps us become more aware of how we process any given situation. In the above example, we observe how the shift happens from upset to boredom. And these two bring up the next stage. In this stage, we begin to feel itchy. That irritation is a conscious state that arises where we become aware of entanglements. In this stage we can observe something kick in that tries to limit us. It is as if we know deep-down we want to experience that greater Self, but the irritation needs to be there for some purpose, some reason. Why? What is the irritation telling us? How can we confront this irritation on its own terms but then have the meditative mind enough to move through it. This is the kind of thing we’re going for in the 21 Stages of Meditation Course. 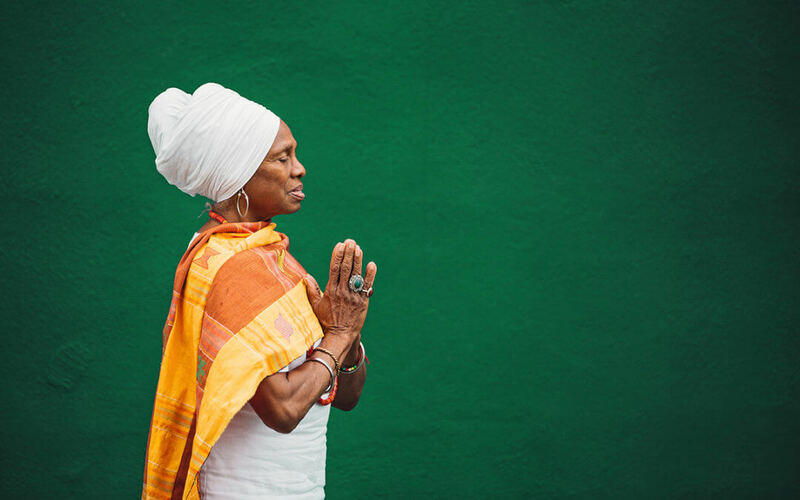 Those who sign up for this course will come away with a deeper sense that their inner journey is precious and unique. Everyone walks away from this course with a smile. We go through the journey together, and this creates a deeply conscious and wise community with god-conscious connection to one another. Sat Nam Fest is grateful to Krishna for taking time to give us a taste of what this course is about. Anyone may sign up for one journey or all three. It is best to complete each journey in order. Start with one then two then three. It is not recommended to start with the second or third journey if you have not completed the first journey. There is a subtle, tried and true method to rely on with walking step by step through the 21 Stages of meditation. It is safe. It is designed for efficiency to reach the real meditative state.